Mantra: A medicine for this Age. “When you recite a mantra, you make yourself positive, pure and your vibration is very penetrating.” Yogi Bhajan. If you are new to mantra or a seasoned mantra practitioner, this workshop is open to you. I will be teaching a very informative and practical workshop on What is mantra, How to make mantra effective, Why to chant mantra, When and How to use mantra to bring us into relationship with our true and infinite identity. It will be a day workshop from 10am -4pm on the Island of Portland with shared lunch by the sea (weather permitting) and lots of chanting! Celebrate the Summer Solstice and the coming of Summer with an extra special sound bath, meditation with Chai and Yogi Tea and Raw Vegan Treats. A sonic massage that will fill you up with pure vital life force! 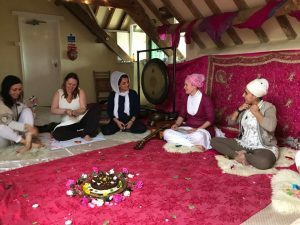 I am delighted to be facilitating monthly 3 hour themed workshops with Kundalini Yoga and Sound Healing Gong Baths at the Heart Centre in Bournemouth followed by tea and prashad. Dates are below and all start at 3pm and end at 6pm. £30. 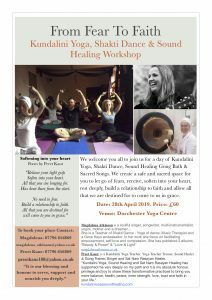 NB: A whole day kundalini yoga and Sound healing workshop is also booked in at the heart centre on 17th November. More details to follow. Happiness is a state of Being. It is not dependent on anything outside of you. Nothing and no one outside of you is responsible for making you happy. 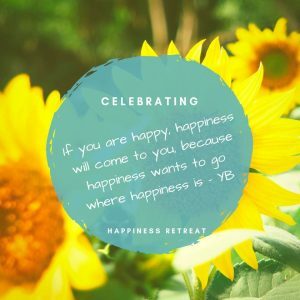 Yogi Bhajan says that happiness is our birthright. He gave us 7 steps to happiness. 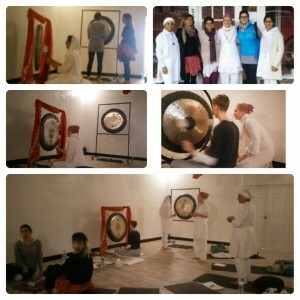 We will explore the nature of true happiness as a state of being through the practices and teachings of Kundalini Yoga, sound healing gong baths, meditation and chanting. Life is a gift. Happiness is our birthright. Come and join me and celebrate Solstice and allow the day to put a smile on your face, a spring in your step, and an experience of pure joy from the inside out! Cost of the 3 levels is £600. To confirm your place on the training, 50% deposit is required. There is an additional cost of £10 per case study to be reviewed and marked. 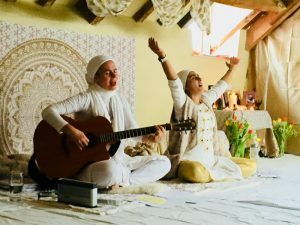 WOMENS RETREATS: With Preet and Hari Shabd. BOOKINGS NOW OPEN! We will explore the nature of true happiness as a state of being through the practices and teachings of Kundalini Yoga, Sadhana, sound healing gong baths, sat nam rasayan healing, space to be, silence, dance, time in nature.Life is a gift. Happiness is our birthright. Come and join us on our Breath by Breath Retreat this February. Let the retreat put a smile on your face, a spring in your step, and an experience of the pure joy as we dive into the depths of the Self. What will we do?Kundalini Yoga, Sadhana, sound healing gong baths, sat nam rasayan healing, space to be and to heal, dance our socks off, time in nature and more. Early Bird price: £295 (10% of the profit goes to Guru Ram Das Project) Your payment makes a difference! 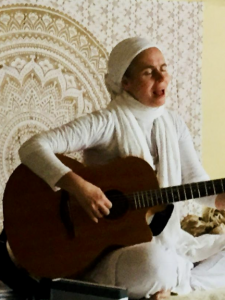 Hari Shabd Kaur & Preet Kaur are Kundalini Yoga Teachers, Healers, musicians and singers. You will be spoiled by delicious organic vegan food made with love and joy by Nicki Hillman who has been delighting all our participants with her unique alchemy of cooking. For more information and to book, please contact Preet Kaur on 07704 636647 or email her on preetkaur108@yahoo.co.uk. 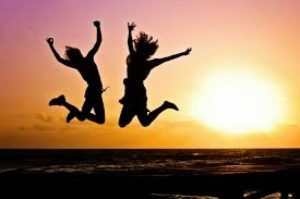 We are here to serve you and facilitate a retreat to bring you into the joy of simply Being YOU! Here is a feel good happy song to get you into the feel good factor! Enjoy! “The retreat helped me to reflect and bring a sense of meaning to my life. The entire weekend was well planned and introduced me to a variety of different kundalini practices which helped to strengthen my mind, body and soul. I really enjoyed the style of teaching and was very impressed with how knowledgeable both yoga teachers were. The yoga teachers and their team were kind and compassionate and ensured I was well looked after .